Much of the major shifts that are taking place today on the world stage involve, for the first time, major players whose growth and personal development have been shaped by a Torah and overall Jewish education. Dr. Joe Frager, a great friend of Israel and the Jewish people, really does not need to be defended, not by us here nor by anyone else for that matter. His words and his actions speak for themselves. However, a recent pseudo-journalistic assault on his integrity by the Forward requires some clarity and elucidation. In brief, the Forward headline reads, “The Jewish Gastroenterologist Who Worked As An Agent For An Arab Sheikdom.” Only part of the story is about the leaders of Qatar who are attempting to detach themselves from the Palestinian/Gaza quagmire and move in a new direction with President Donald Trump. Here are the facts: Arab Gulf countries are falling over themselves clamoring for attention and recognition by supporters of Israel in the U.S. as a way of establishing their credentials amongst the civilized and credible nations of the world. It is uncertain whether it is the 5TJT alone that has taken note of this phenomenon, but much of the major shifts that are taking place today on the world stage involve, for the first time, major players whose growth and personal development have been shaped by a Torah and overall Jewish education. As this and other connected stories in the Middle East unfold, we are finding yeshiva graduates like Ambassador David Friedman in Israel, negotiator Jason Greenblatt, and Trump’s son-in-law, Jared Kushner front-and-center at the negotiating table, as well as folks like Nick Muzin, a former chief of staff to Senator Ted Cruz and a registered lobbyist for Qatar, the small, controversial oil-rich country and supporter of terrorist groups like Hamas. And now Queens resident Dr. Frager, a Jewish activist and prominent personality closely identified with Israel, enters the fray, so to speak. The story goes back to last September when, through Mr. Muzin, the idea developed that Qatari leaders wanted to meet with people they felt were movers and shakers as well as molders of American public opinion. 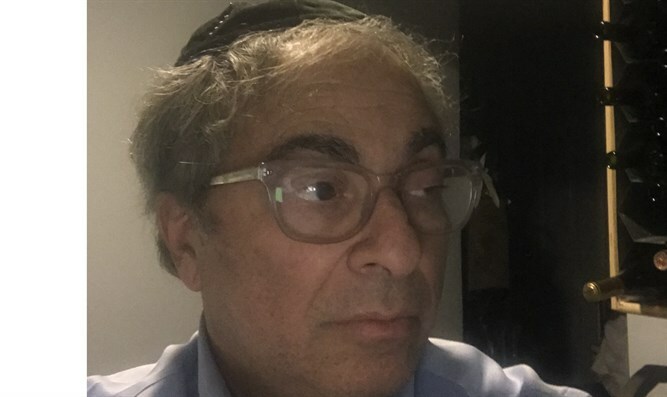 My guess is that if you surf the internet and frequent Jewish news sites you will most likely read at some point about the involvement of people like Dr. Frager in Jewish life. Is Joe Frager influential? How influential is he really? Examining and picking apart this reality is not as important as what the perception of his stature is out there in a place like Doha, the capital of Qatar. There are two other aspects of this story that require assessment. As far as the Forward is concerned, the most important aspect of the Frager–Qatar encounter is the fact that the doctor received a payment of $50,000 from the Qataris as compensation for his time and expertise on matters of concern to that country. I don’t have direct or confirmed information on this matter, but it has been made clear by those with more detailed information about the meeting that took place in Washington, D.C., that Dr. Frager’s prime motivation was to have Doha pressure the Hamas leadership in Gaza to release the remains of two soldiers killed in the summer of 2014 — Hadar Goldin and Oron Shaul. The soldiers were murdered during what was supposed to be a ceasefire in the 2014 war between Israel and Hamas in Gaza. The families have been campaigning and traveling around the world for four years to talk with whoever would listen and would be able to exercise some influence that will allow these families to have their children buried in Israel in a dignified and respectful manner. This is Joe Frager’s sole motivation. 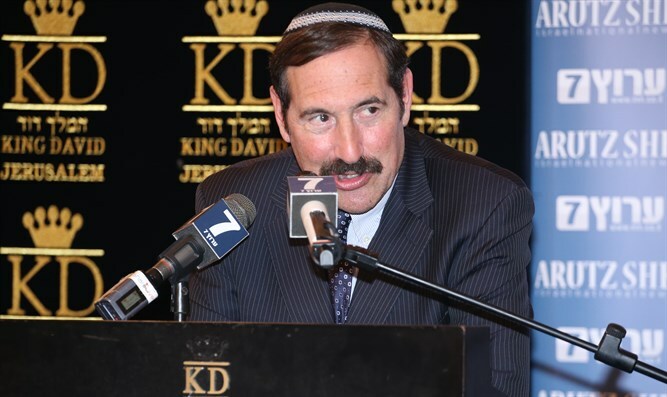 He is a hard-working, dedicated physician who has invested years in the effort to secure a stronger Israel and safer environment for Jews in Israel as well as around the globe. So was he successful in achieving his objective with the Qataris? As of this week, the remains of the two soldiers are still in the possession of Hamas in Gaza. The Qatar influence on Hamas and perhaps other terror groups around the world is their ability to provide millions of dollars in funding for these groups. Why they do that while simultaneously acting anxious to join other civilized nations and desiring to forge some kind of preliminary relationship with Israel is somewhat of a puzzle. It is a matter of speculation, however, that there is a shift, or perhaps a transition, taking place, with the ultimate objective being the defunding of Hamas and other terror groups. While all this is being treated as news these last few weeks, the reality is that Dr. Frager met with the Qatar representatives back in September. The information popped up recently because it was just a few months ago that the doctor reported the income paid by a foreign government, as is required by law. The Forward, as is the case with leftist-leaning Jewish publications, attempted to project an image of deviousness and dishonesty on Dr. Frager’s part. Of course, that is classic fake news that simply serves the interest of a newspaper that consistently seeks to undermine the State of Israel as well as the veracity and integrity of Orthodox Jews in particular. That is why they were so excited about the news involving Dr. Joe Frager and tried to frame the picture to create the impression that a person who years a yarmulke, davens three times a day, and is associated with major institutions like Bet El, Young Israel, and Ateret Cohanim, is secretly doing the bidding of one of the worst supporters of terror around the world. While this fake news may perhaps be the stuff of some future Netflix or Amazon limited series, Joe Frager is not betraying Israel or the Jewish people, neither is he compromising his values or great dedication and concern about issues that are so important to the Jewish people. We can additionally report on background, and without confirmation directly from him, that Dr. Frager is in touch with the highest personalities in the Trump administration on the matter of gaining permission from the U.S. government or the prison system for Jonathan Pollard to travel to and perhaps live in Israel. That is Pollard’s dream, and after Pollard served 30 years in prison, it will take a sensitive soul and a humanitarian like President Trump to make that happen. And finally, we are living in special and miraculous times. Aside from governments who not too long ago swore that they would always be committed to Israel’s destruction now seeking friendly relations with the Jewish state, we have these yeshiva graduates trotting around the world and making it all happen. Just a few days ago, Mr. Kushner, who was in Israel, Jordan, and Saudi Arabia, and with whom the Palestinian Authority refuses to meet, said that it is possible Mr. Abbas is too weak and more unable than unwilling to enter into a peace deal with Israel. The additionally fascinating news emerging from this trip is that Arab governments that fund the Palestinians, like the Saudis, the Qataris, and the Emirates, along with Jordan and Egypt, may be ready to bypass Mr. Abbas and enter into a peace deal with Israel brokered by the U.S.
Peace may be on the horizon, and tireless workers for Israel like Dr. Joe Frager understand that. Liberal press criticism notwithstanding, the once unthinkable is now truly possible, and he is leading the way.